EVOKE Contemporary is proud to feature the stunning landscapes of Lynn Boggess in a major exhibition beginning July 31st. 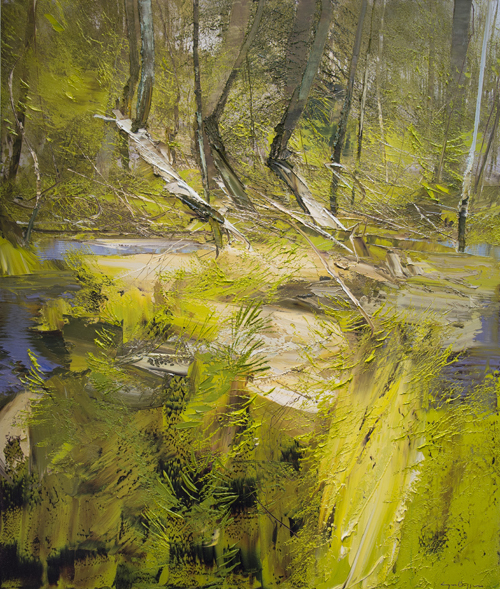 A plein-air painter, Lynn communes with nature and his audience through his process and his unbelievably powerful works. LYNN BOGGESS, 1 May 2015, oil on canvas, 54" x 46"
Painting in the studio doesn’t have the force of nature compelling you or driving you to make these works with the same dynamic qualities. My goal is to record what it feels like to be there. Lynn Boggess translates his experience and feelings using his exceptional prowess with masonry trowels, with the results trumpeting a tangible love of nature, place and time and transporting the viewer to the heart of the scene. These landscapes overwhelm the senses with lush and vivid scenes while also allowing room for meditation on the deeper relations between human life and the natural world. Lynn will be present for this expression of his passion for the landscape with a selection of oil paintings focusing on the reflections of summer. Lynn Boggess grew up on a farm near Parkersburg, West Virginia. He received a BA in Art Education from Fairmont State College and an MFA in Painting from Cranbrook Academy of Art, Bloomfield Hills, Michigan. He has been Professor of Art at Fairmont State College since 1990 and Coordinator of the Art Department since 2002. 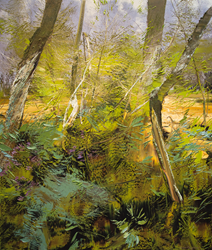 He has been honored with several prestigious awards in West Virginia, including the Higher Education Art Educator of the Year in 2001, Visual Artist of the Year in 1999, and the Governor’s Award of Excellence in Painting in 1997. Both public and private collectors have acquired his landscapes, including the West Virginia Governor’s Mansion, SAS Institute, and Eisai, Inc. The exhibition runs through August 22nd. 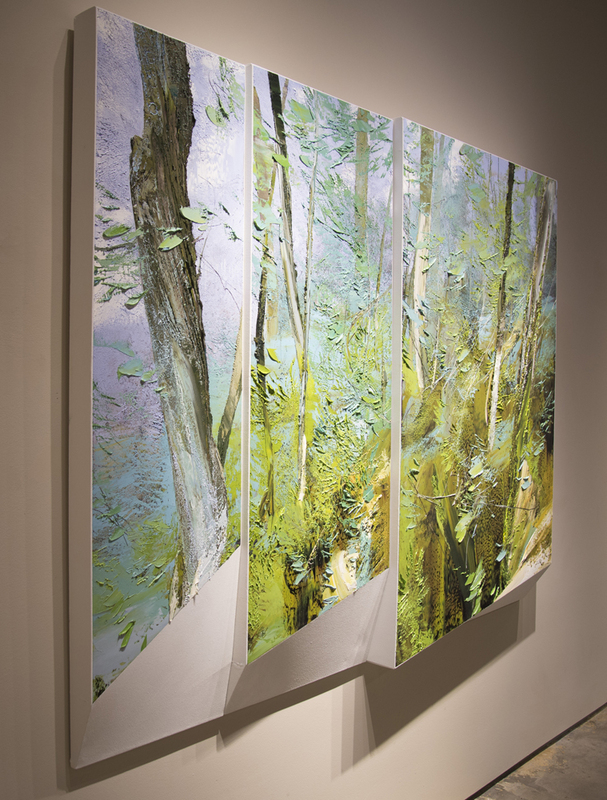 EVOKE Contemporary showcases provocative and compelling representational contemporary art of international acclaim. The gallery is known for its strong focus on figuration with wide diversity ranging from hyperrealism to abstract expressionism. All events open on the Last Friday of each month along with the celebrated Last Friday Art Walks in the Railyard Arts District.